MUMBAI and TIRUPUR, India, July 27, 2017 – Advent International, one of the largest and most experienced global private equity investors, today announced that it has agreed to acquire a significant ownership interest in Dixcy Textiles Pvt. Ltd. (“Dixcy”), a leading innerwear brand in India. Dixcy’s Founder and Managing Director, Prem Prakash Sikka, will retain a stake in the company and continue as the Chairman following the completion of the transaction. Financial terms were not disclosed. The transaction is Advent’s fourth investment in India since 2015 following its purchase of equity stakes in Crompton Greaves Consumer Electricals, QuEST Global Services and ASK Group. Located in Tirupur, India, Dixcy was founded in 1982 by Mr. Sikka with a vision of creating a strong brand that caters to all segments of the innerwear and hosiery market. Today the company is the exclusive manufacturer and marketer of several leading innerwear brands, including Dixcy Scott, Dixcy Scott UNO, Dixcy Josh and Dixcy & Slimz. The company also sells a premium range of products including casual wear such as track pants, shorts and polo t-shirts. 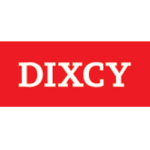 Additionally, Dixcy has begun to expand internationally by placing its products in stores across the Middle East and Singapore. Through its network of more than 1,000 distributors, Dixcy supplies products to over 120,000 retail outlets across the country. The company employs over 3,500 people and generated sales of INR 7.8 billion (US$120 million) in fiscal year 2017. “We are excited to partner with Advent, a leading global investor with strong knowledge of the Indian market and significant experience in the retail and consumer sector,” said Prem Prakash Sikka. Advent has been investing in India for 10 years and opened an office in Mumbai in 2009. Recent investments include Crompton Greaves Consumer Electricals, India’s premier supplier of consumer electrical goods, lighting and lighting automation systems; QuEST, a global engineering solutions provider; and ASK Group, a leading wealth and investment management business. Avendus Capital is serving as the exclusive financial advisor and Khaitan & Co is serving as the legal advisor to Dixcy on the transaction. AZB & Partners is serving as the legal advisor to Advent International. Founded in 1982 and located in Tirupur, Dixcy is the exclusive manufacturer and marketer of several leading innerwear brands in India, including Dixcy Scott, Dixcy Scott UNO, Dixcy Josh and Dixcy & Slimz. The company caters to all segments of the market across multiple price points through these focused brands. It has created demand for its collections by offering high-quality products and securing endorsements from leading Indian actors such as Salman Khan, Sonakshi Sinha, Puneeth Rajkumar and Jiva. Through its network of more than 1,000 distributors, the company supplies products to over 120,000 retail outlets across the country. Over the years, Dixcy has transformed itself from an innerwear brand to a broader apparel brand. Founded in 1984, Advent International is one of the largest and most experienced global private equity investors. The firm has invested in over 325 private equity transactions in 40 countries and as of March 31, 2017, had $39 billion in assets under management. With offices on four continents, Advent has established a globally integrated team of 190 investment professionals across North America, Europe, Latin America and Asia. The firm focuses on investments in five core sectors, including business and financial services; healthcare; industrial; retail, consumer and leisure; and technology, media and telecom. After more than 30 years dedicated to international investing, Advent remains committed to partnering with management teams to deliver sustained revenue and earnings growth for its portfolio companies.